The title was getting kind of long. I KNOW. This is really great. 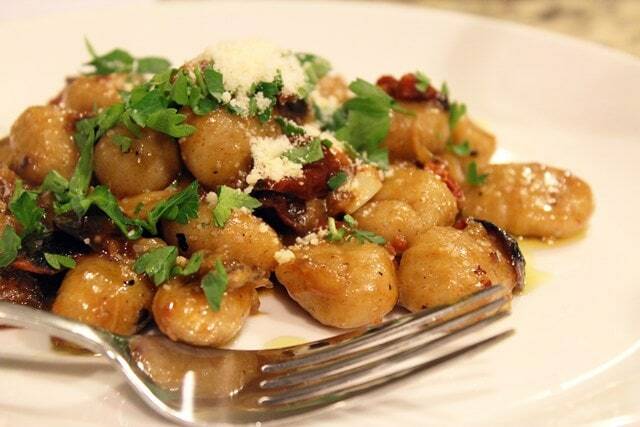 And NO, we aren’t making our own gnocchi. I’ve said I’m going to do it since we bought the house in May (I don’t know, I wanted to do a project on the granite), and HERE WE ARE 10 months later with no homemade gnocchi. It’s just so good from the package. I can’t help it. I don’t have time. Anyway, here we are. Roasted veggies in a super light sauce with lovely veggies. 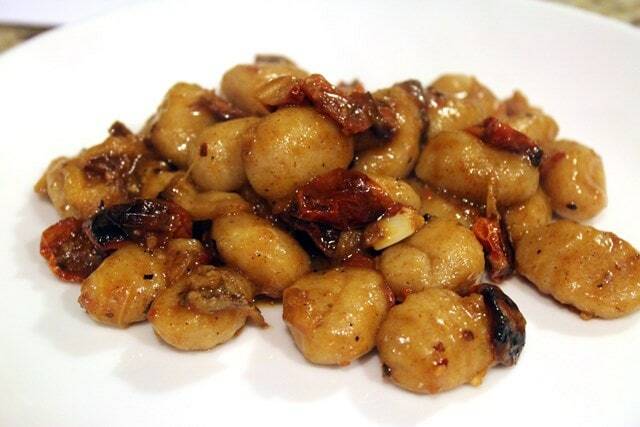 I love the eggplant and tomatoes with the whole wheat gnocchi – you could of course use any flavor that you like, but I think the whole wheat stands up nicely to the slightly charred veggies. Here’s what you need, for 4. See? 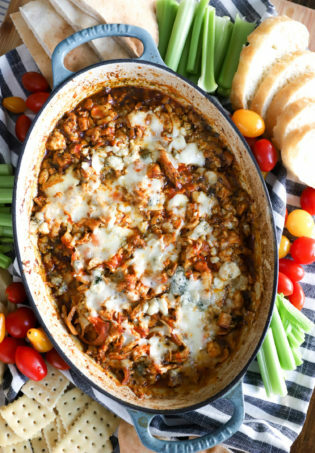 There aren’t a ton of ingredients going on here, but there is a TON of flavor. Trust me. I cooked the eggplant at the same time as the tomatoes, and the veggie cooking went super fast. To prep the veggies, heat your broiler to high and position oven racks to the center and right below the center of the oven. 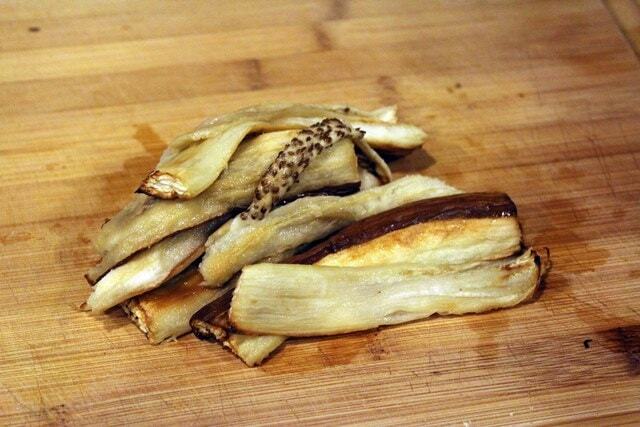 Then, cut the eggplant in half lengthwise and into large chunks – 4 inches or so. Spray a pan with cooking spray, then place the eggplant face down in a roasting pan or baking sheet, then spay the other side of the eggplant with cooking spray. 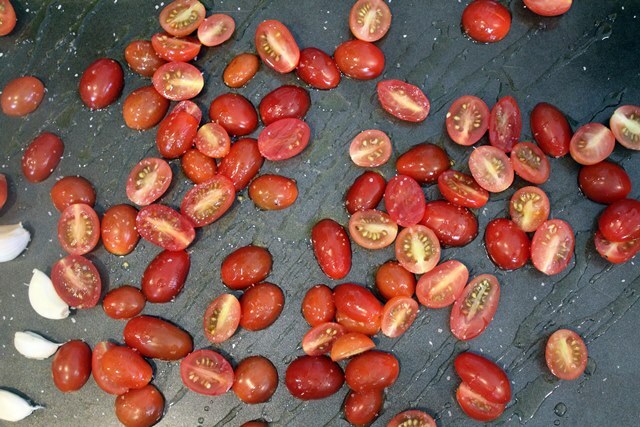 Arrange the tomatoes on a separate baking sheet, then spray them with cooking spray and sprinkle them with salt. Throw the garlic cloves on the same sheet. **If for whatever reason you only have pre-peeled or minced garlic no worries. Don’t roast the garlic, just add it in later when you add the tomatoes and eggplant to the brown butter. It’ll be perfect! Place the eggplant on the top rack (center of the oven) and the tomato pan under the eggplant. The idea here is that the eggplant will broil and the tomatoes will roast right beneath them. Broil the veggies for 20 minutes until the eggplant skin is very dark. 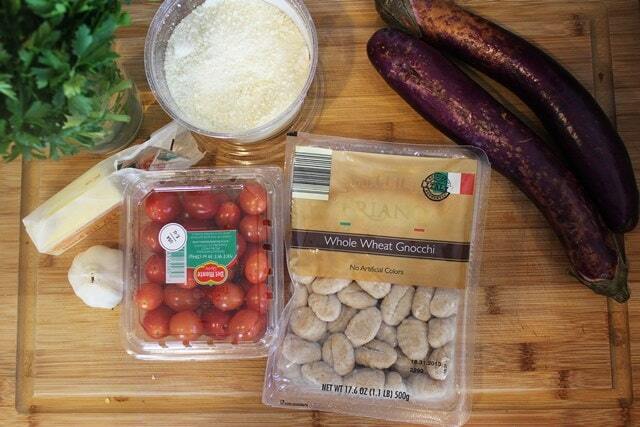 Remove the eggplant from the pan into a dish or bowl and cover it with plastic wrap. This will allow the eggplant to steam and the skin to come off easily once it cools. Now, if the tomatoes have started to darken around the edges, remove them from the oven. If not, turn the heat on the oven to 450F and let the tomatoes roast for another 10 minutes until the edges are darkened. Squish the garlic too – my cloves were soft when I took the eggplant out so I removed them to cool and let the tomatoes keep roasting. Yours will probably be done too! So now we have roasted eggplant, tomatoes, and garlic. You can roast the veggies way in advance and just reheat them in the sauce right before serving – some great prep to get out of the way early in the day! 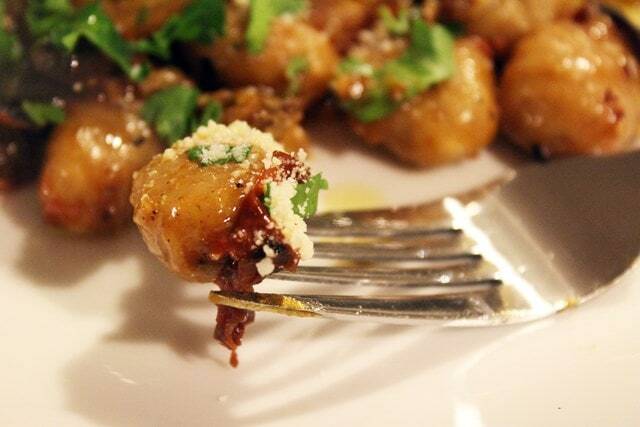 When the eggplant has cooled to the touch, use your fingers to take off any super charred skin from the edges. Then, roughly chop the eggplant into chunks. Now, we’re ready to make the sauce! When you’re about 15 minutes from wanting to eat dinner, preheat a pot of water with salt to boil for the gnocchi. 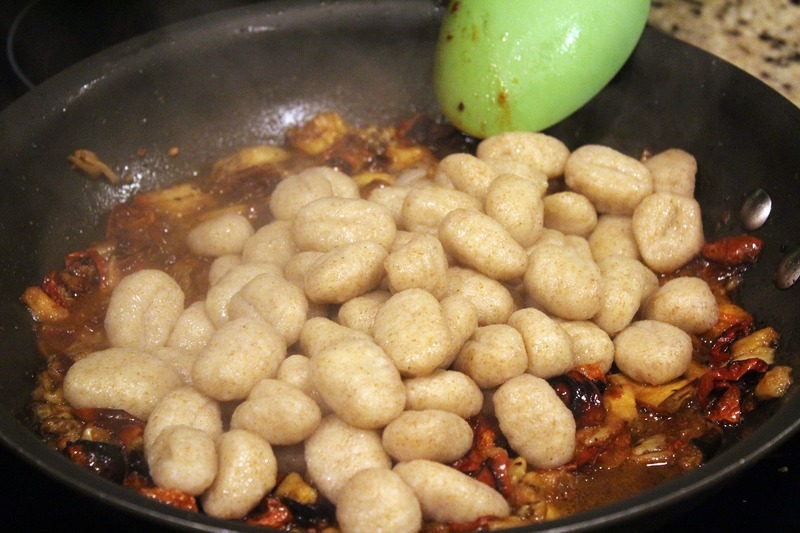 When it boils, cook the gnocchi as the package directs for al dente, then drain it. 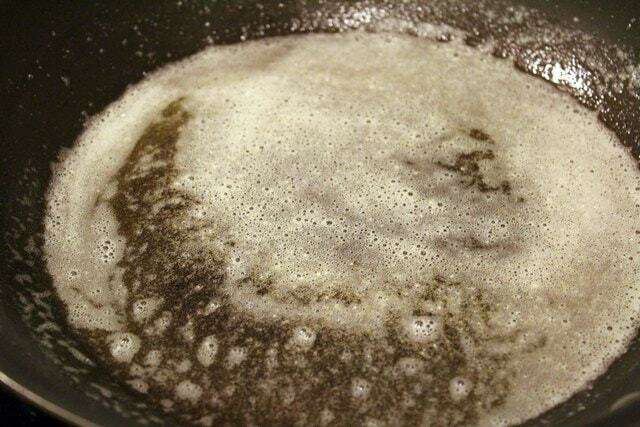 In a separate pan, heat the butter over medium heat, swirling it to melt. When the butter gets foamy, lift the pan and swirl the butter until brown bits form on the bottom, then turn the heat back to medium-low. We want the butter to brown, but not burn. 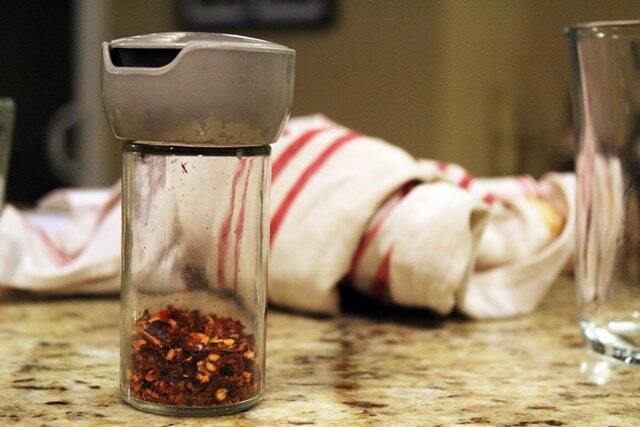 Grab your crushed red pepper here, if you’re using it. To assemble, add the tomatoes, garlic (just squish it out of the cloves right into the sauce), eggplant, and as much crushed red pepper as you’d like to the brown butter. This is where the optional veg or chicken stock comes in: My tomatoes had dried out quite a bit in the oven, so I added a splash of stock to sort of reconstitute them in the sauce. If your tomatoes aren’t very dry or you don’t like a very saucy gnocchi just leave it out. 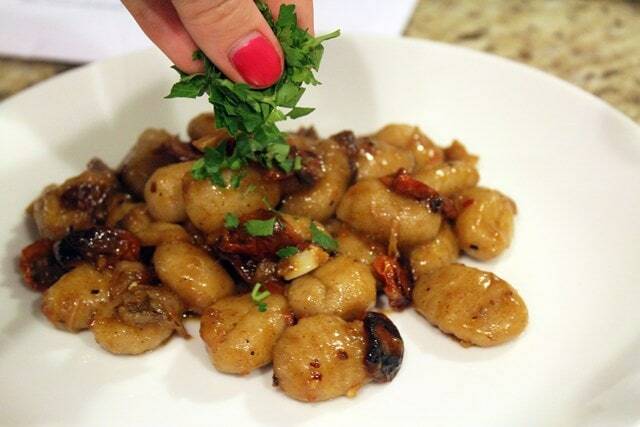 Stir everything together, then add the gnocchi! Stir THAT together, and taste. Add more salt if you’d like! Now, serve. Duh. Like this. ….and maybe a drizzle of super delish fruity olive oil. Up to you – toppings for this could go on for days. 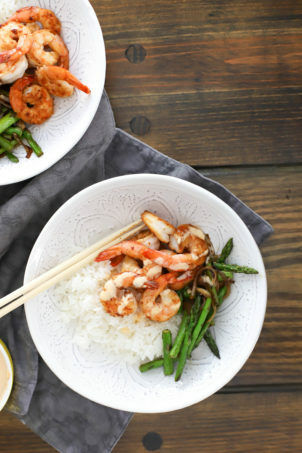 The flavors, though, are DELICIOUS, and this is really simple to make. You’ll love it! Oh, and I’m happy to be back. I missed you. Preheat the broiler to high. 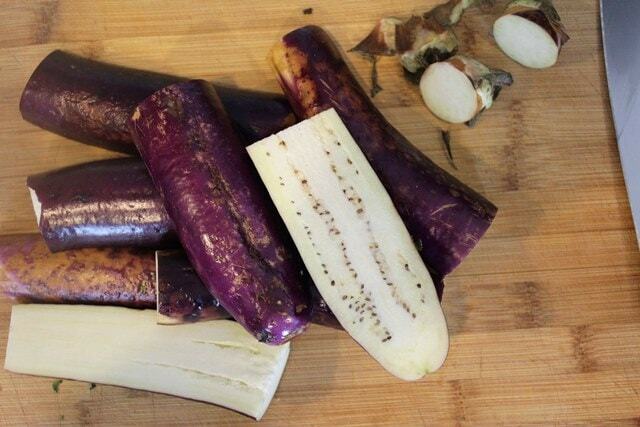 Cut the ends off the eggplant and cut lengthwise, then into 4 inch chunks. 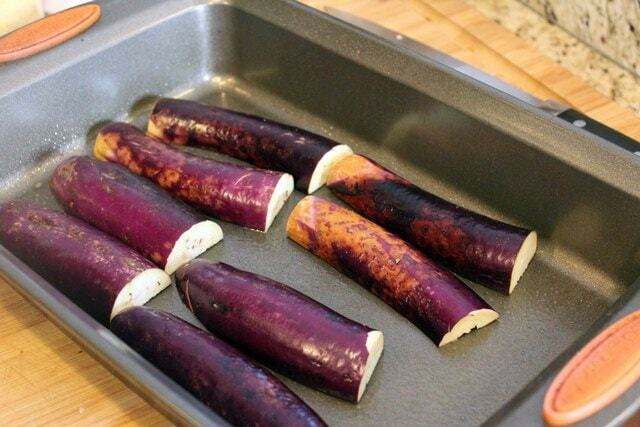 Place eggplant cut side down in a baking or roasting dish prepared with cooking spray. Spray the tops of the eggplant with cooking spray as well. In a separate pan, scatter the unpeeled garlic cloves and the tomato halves. Spray with cooking spray and sprinkle with salt. Place the eggplant halves under the broiler, and place the pan with the tomatoes on the rack under the eggplant pan. Broil for 15 - 25 minutes until the skin on the eggplant is slightly charred. 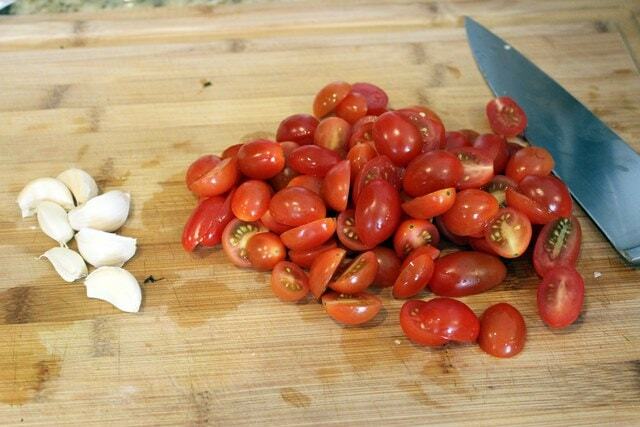 Remove from heat and check the tomatoes and garlic. 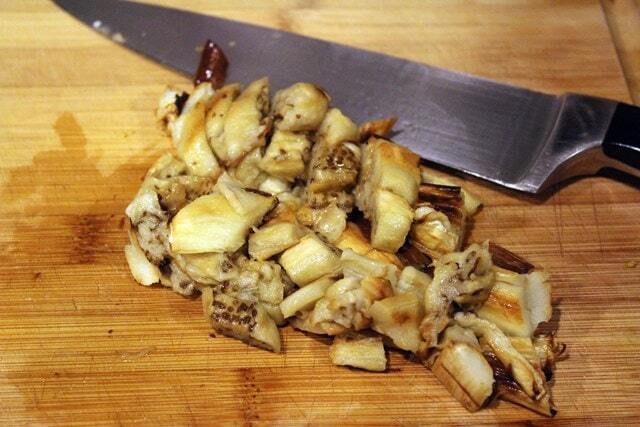 If the garlic cloves are soft in their skins, remove them from the oven. 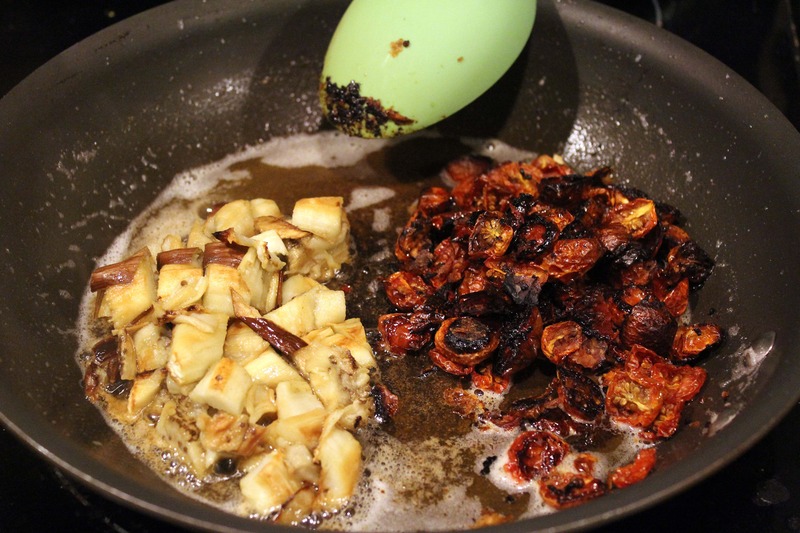 If the tomatoes are slightly darkened at the edges, remove them as well. 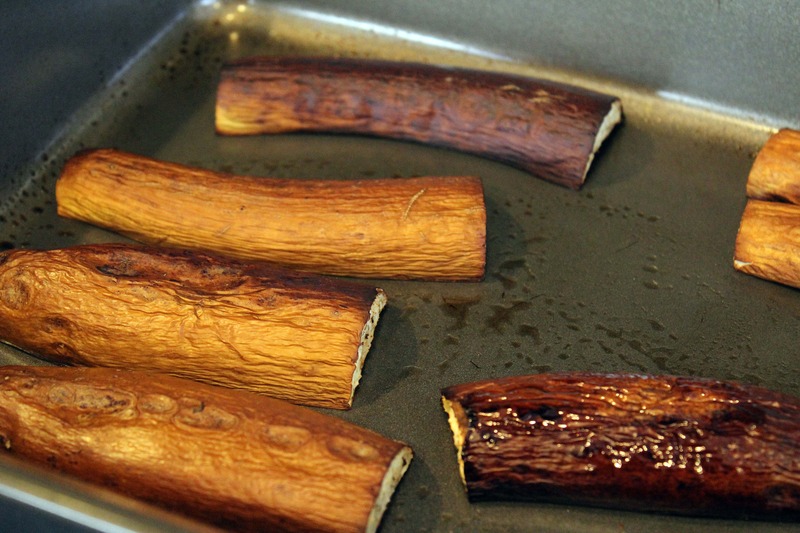 If they aren't dark in color yet, reduce the oven heat to 425F and continue to roast for 10 more minutes. Meanwhile, remove the eggplant from the pan into a bowl or dish. 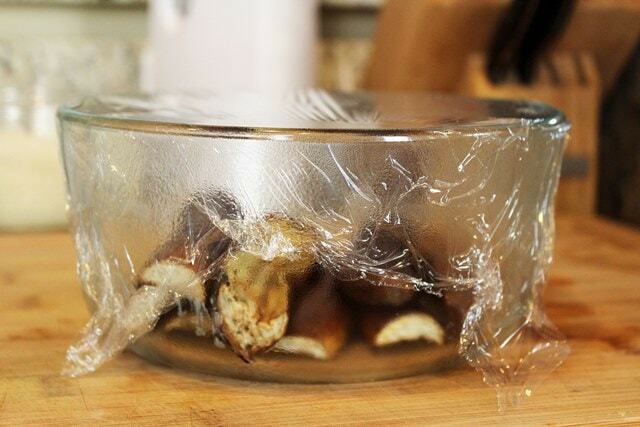 Cover with plastic wrap, and allow to steam for 10 minutes. 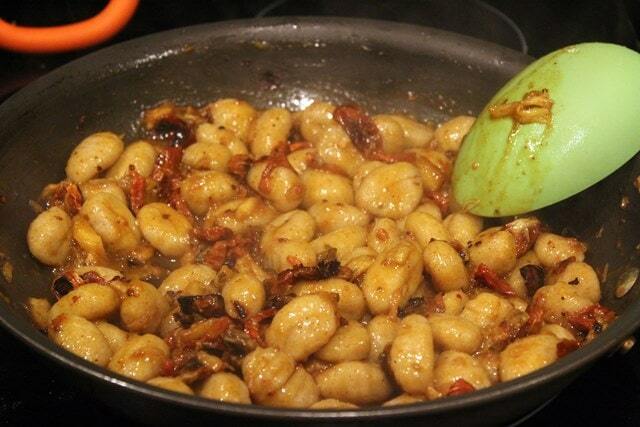 Bring a large pot of water to boil with 1 tablespoon of salt for the gnocchi. When it boils, boil the gnocchi as package directs to al dente, then drain and reserve. 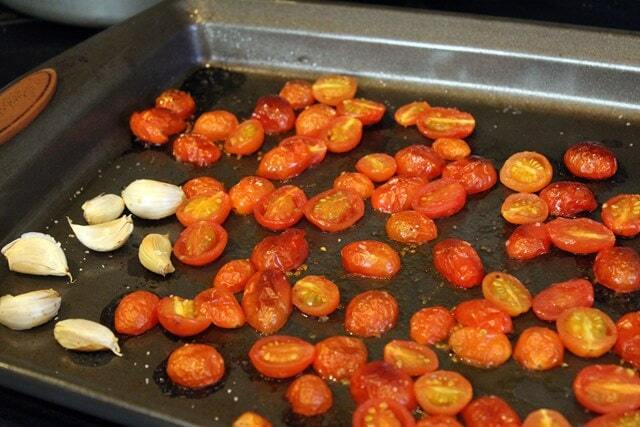 When the tomatoes are fully roasted, remove them from the oven. When the eggplant has cooled enough that you can touch it, peel off most of the skin (leave some bits for flavor), and roughly chop the eggplant. Preheat a large skillet to medium-high heat and add the butter. Swirl to melt. The butter will foam then turn brown on the bottom. As soon as the butter starts to brown, turn the heat back to medium-low. Add the roasted tomatoes, eggplant chunks, crushed red pepper (as much as you'd like! ), and the garlic squished from the skins to the brown butter. Stir to combine, then add the gnocchi. Stir to mix the gnocchi into the vegetable mixture, then taste. 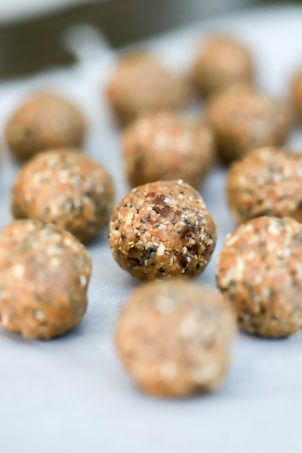 Add salt or more crushed red pepper to your preference, and a splash of chicken stock for a saucier mixture. 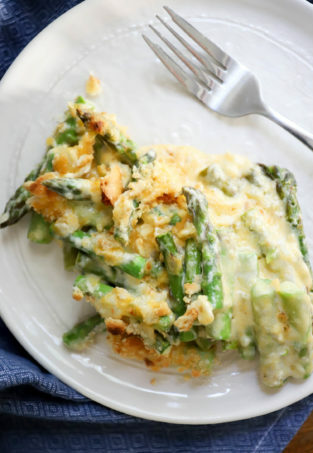 Serve topped with parsley and parmesan cheese, if desired. 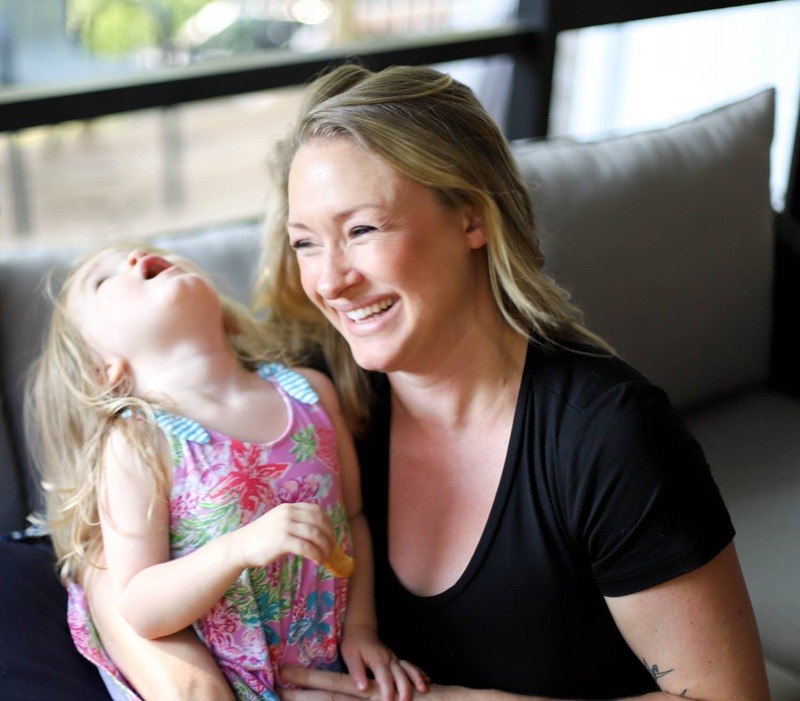 Previous Post: « PARDON this mess.